Division One: Ex Service W 8 Highwayman Rangers 1, Railroad Robbers 7 Seaview Nil 2, Seathorne Arms 7 Seaview Lads 2, Seaview A 4 Ex Service U Watts 5. Division Two: Ex Service Shufflers 3 Railroad XL 6, Finnigans 3 Bell Ringers 6, Liberal C 5 Ex Service Stobart Gang 4, Shipwrecked 5 Ex Service Squares 4. 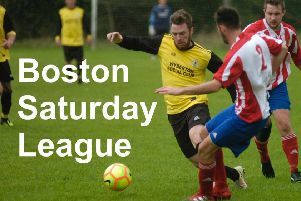 Division Three: Ex Service Hotspots 6 Garden City 3, Highwayman 3 Liberal B 6, Pot Bellies 6 Stumblers 3. The 3-0 table winners: D. Patten & J. Overton (Railroad Robbers), M. Marvel & D. Buck (Railroad Robbers), M. Wright & D. Smith (Seathorne Arms), M. Whitehead & B. Coggill (Ex Service W), N. Wagstaffe & P. Clarke (Ex Service W), J. Murphy & E. Revell (Bell Ringers), G. Polson & S. Henry (Railroad XL), F. Stones & J. Hardcastle (Pot Bellies), M. Chapman & R. Dymyd (Liberal B), T. Bright & T. Doane (Ex Service Hotspots).